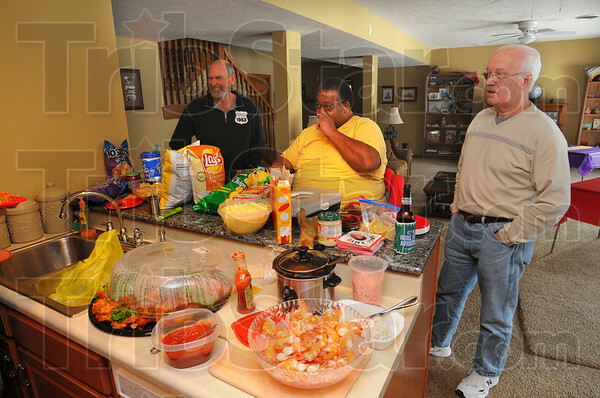 Spice of life: The food brought tot eh Super Bowl party ranges the spectrum. St. Elmo’s shrimp, buffalo wings, Italian beef sandwiches and baked spaghetti are assisted by chips and salsa, potato salad and crackers with spread. Watching over the eats are Tom Peter, R.C. Fears and Darwin Bookout.